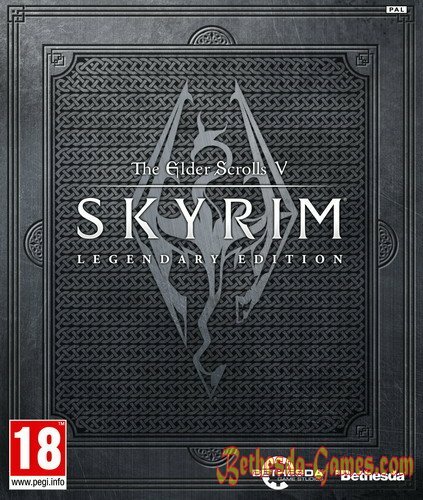 Legendary Edition, this full build of the game Skyrim, along with all the extras: - Dawnguard, Hearthfire and Dragonborn. Bethesda has said it has no plans to release new additions to the game, and will focus on a new project. The Elder Scrolls V: Skyrim has collected more than two hundred different awards. And now it is time to enter a single edition, which includes not only the original game, but all the supplements thereto. Edition of The Elder Scrolls V: Skyrim. Legendary Edition is addressed to the most loyal fans of the series. It offers not only a game, and three add-ons for it, but various improvements - including a battle on horseback, new variants of finishing moves, an additional level of complexity to the most experienced players, as well as "legendary" skills allow them to develop the skills of the character forever. The Elder Scrolls V: Skyrim. Create a unique character and make a magical world whatever they want. 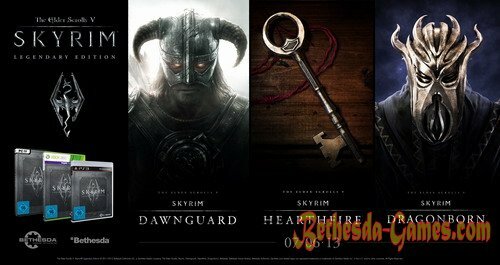 Skyrim has absorbed all the best features of the series The Elder Scrolls: freedom of choice, the ability to write the history of Tamriel and experience an unforgettable adventure. The Elder Scrolls V: Skyrim - Dawnguard. You Dragonborn, will meet with the Lord Vampire Harkonnen, who intended to destroy the sun through the power of Elder Scrolls. Will you join the ancient Order of the Guardians of the Dawn or decide themselves to become the ruler of the vampires? Whichever side you adopt, you have many adventures. The Elder Scrolls V: Skyrim - Hearthfire. Become a landowner and build your dream home - a one-room hut or a huge mansion with his weapons, alchemical laboratory and other necessary buildings. Use new tools to build from stone, clay and timber furniture and decorations. And with the possibility of adoption, you can turn your home into a real home.